Artur came to Greece thanks to the charitable foundation “Neopalimaya Kupina” and its director, Mrs. Irina Chuvikina. The boy was diagnosed with cerebral palsy, spastic diplegia, delay of motor skills, chromosomal aberration as delay of maturation of the central nervous system, polyneuropathy, myeloencephalopathy, dystonic tetraplegia of motor disorders. 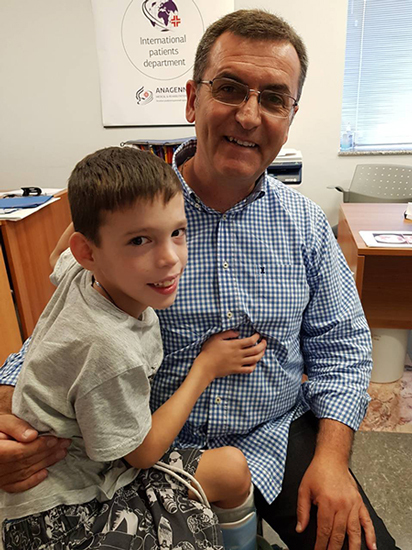 At St.Luke’s clinic in Thessaloniki, he underwent a co-operative consultation by a pediatric neurologist and an orthopaedic surgeon to confirm the mixed cerebral palsy. Doctors have examined the little boy’s nervous and musclular system and have conducted some genetic examinations. A decision was taken to carry out an operation on bilateral ankle reconstruction, lengthening and fasciotomy of hamstrings and biceps. 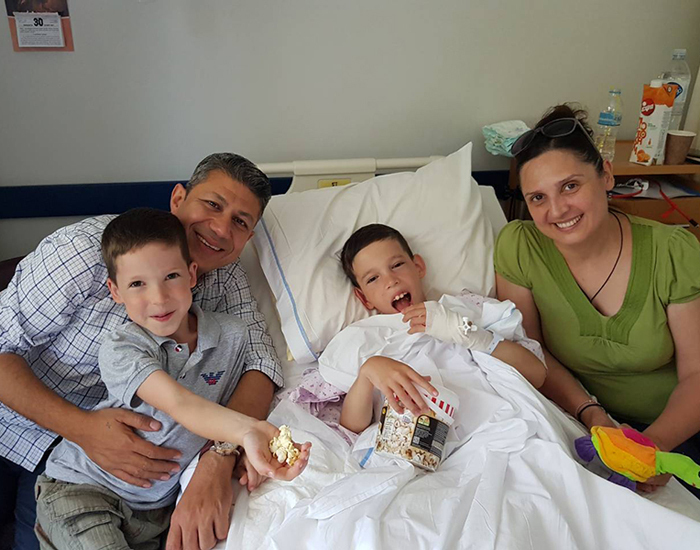 Artur’s parents were delighted to learn that there was a chance to make an operation like this to their child, because for a long time they were trying to find someone to make it in Russia, but no doctor wanted to take that responsibility. On June 26th 2017, orthopaedic surgeon Nikolaos Rigopoulos carried out this difficult operation on bilateral ankle reconstruction with Grice-Green method with fibular autotransplantation. On the second day after the operation Artur had checked out of the clinic. 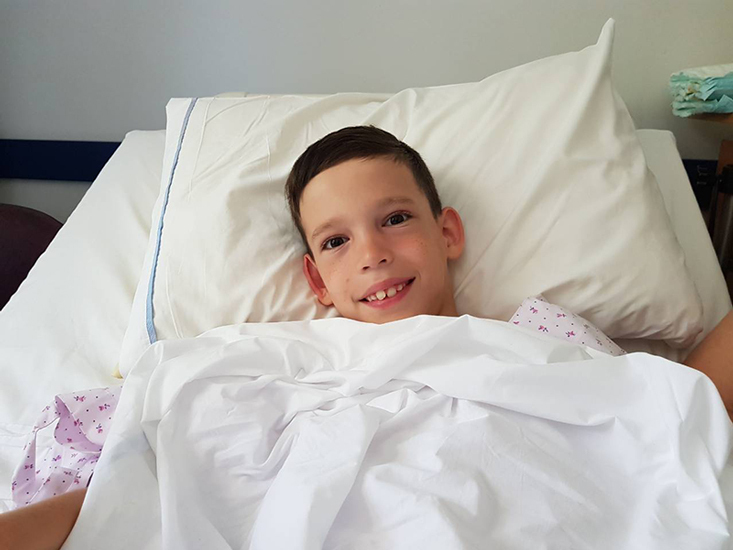 Two weeks after the operation, the child began a functional rehabilitation therapy on muscle dynamic at the Medical & Rehabilitation centre “Anagennisi”. In August he could already stand on his feet with minimal knee bending. Great progress has been achieved by logotherapists of the centre in the boy’s swallowing and cognitive functions. According to the doctor’s diagnosis, Artur will have gradual improvement for 1-2 years. A few weeks ago, Artur’s parents sent us a video in which he is standing with no support and making his first steps. This is a enormous success, and we are very glad for him!